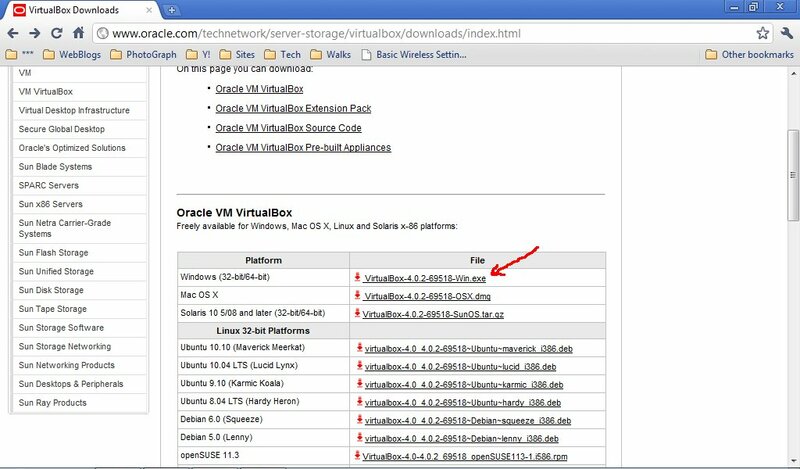 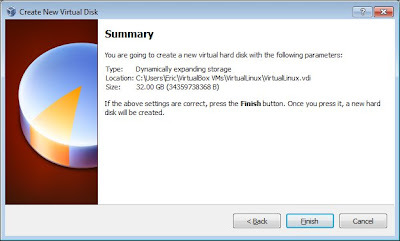 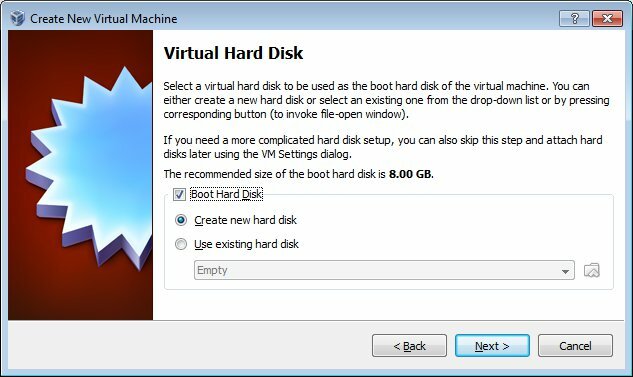 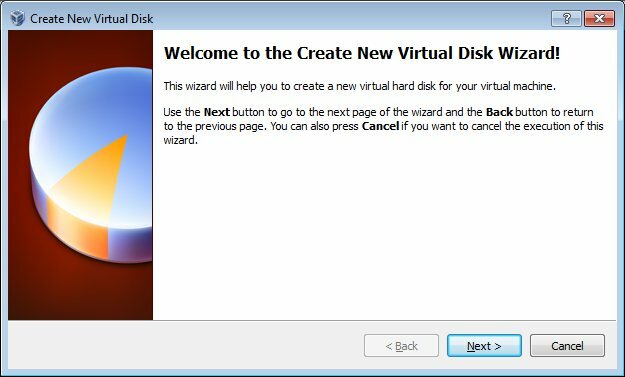 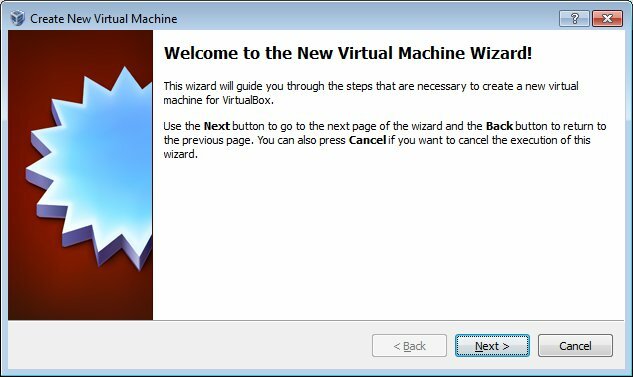 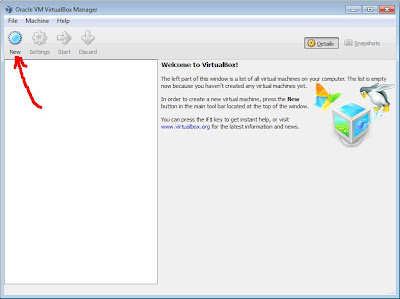 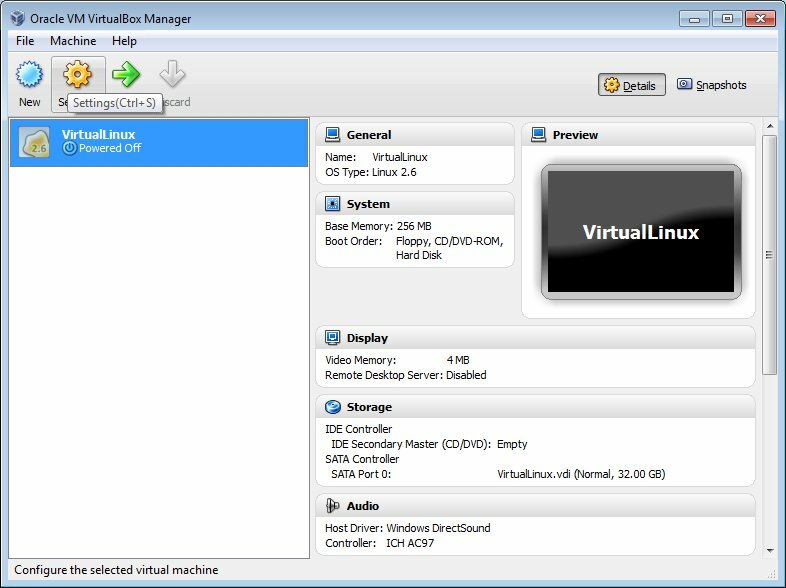 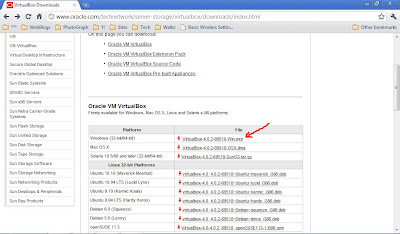 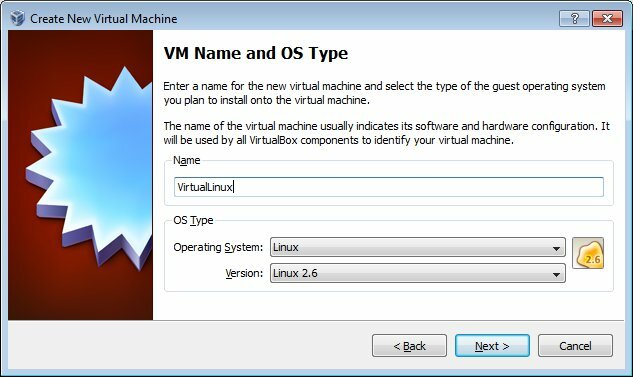 - Run the downloaded VirtualBox setup and follow the steps to complete the installation. 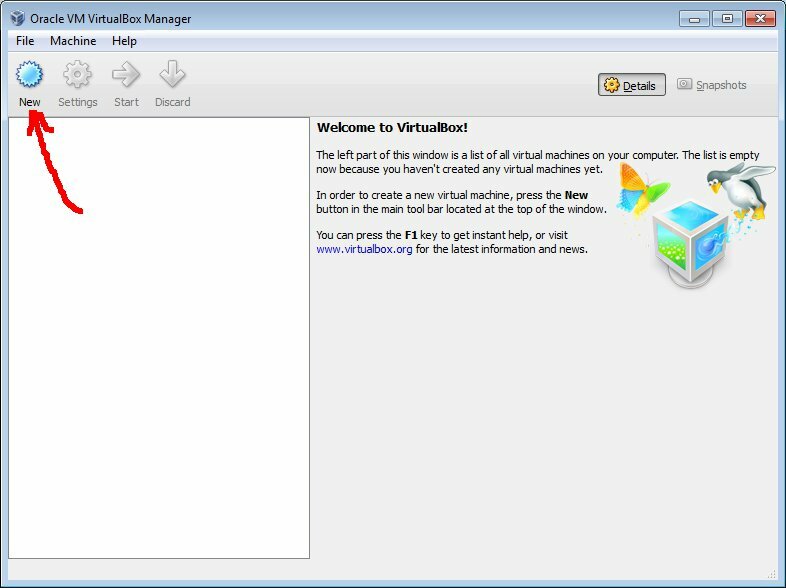 - Run VirtualBox after installation completed. 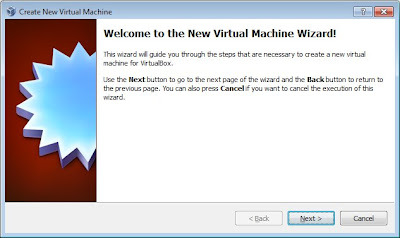 - Create a new virtual machine by clicking on the New icon. In order to make the target virtual machine run smoothly, I assign 1000M to virtual machine, almost half of my memory. - Select to create new hard disk for Boot Hard Disk. - Select size of virtual disk, 32G in my case. - Select the new virtual machine and click Settings icon. 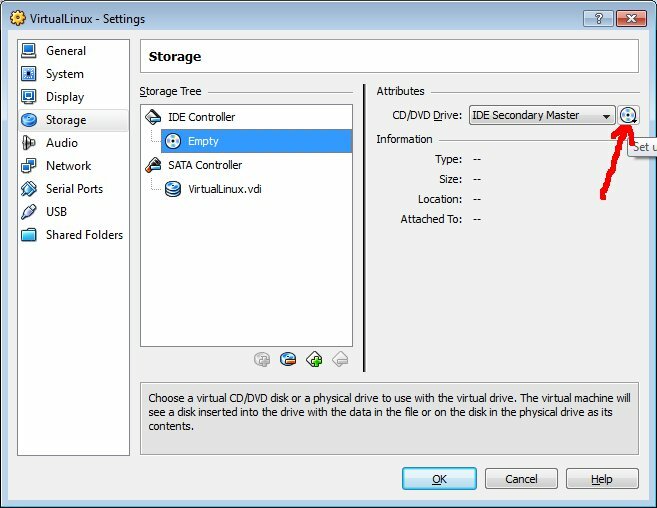 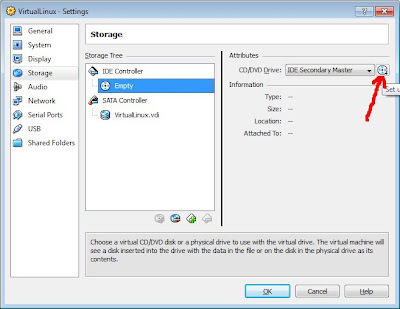 - Set up virtual CD/DVD driver. 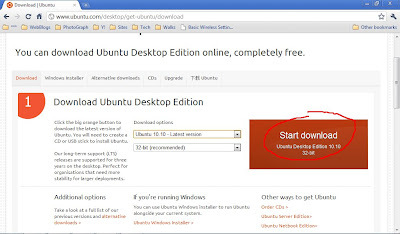 - Browse to select the downloaded Linux ISO image file. Now you can start the new virtual machine to setup Linux, just follow the normal steps of Ubuntu setup.